As the saying goes, it takes a village. This is especially true in the case of LakewoodAlive, a volunteer-driven organization that relies heavily on community members to help fulfill its mission to foster and sustain vibrant neighborhoods. 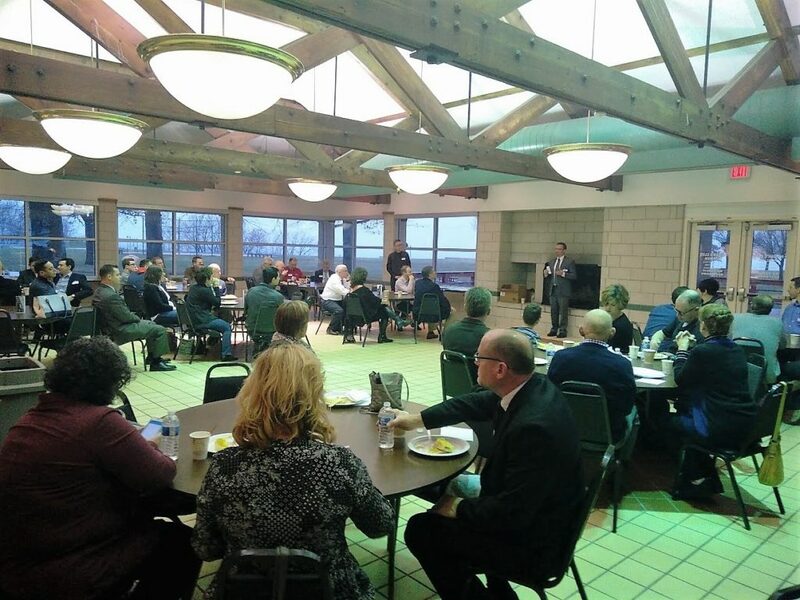 LakewoodAlive hosted its Annual Volunteer Appreciation Breakfast on Friday morning, Jan. 20, at the Women’s Pavilion in Lakewood Park. The event, attended by nearly 75 community members, featured coffee, pancakes and stories of remarkable volunteerism. LakewoodAlive recognized the nearly 750 volunteers who, in 2016, contributed their time and talents to supporting the nonprofit community development organization and to helping improve quality of life in Lakewood. LakewoodAlive hosts its Volunteer Appreciation Breakfast to honor the many community members who contribute their time and talents each year. 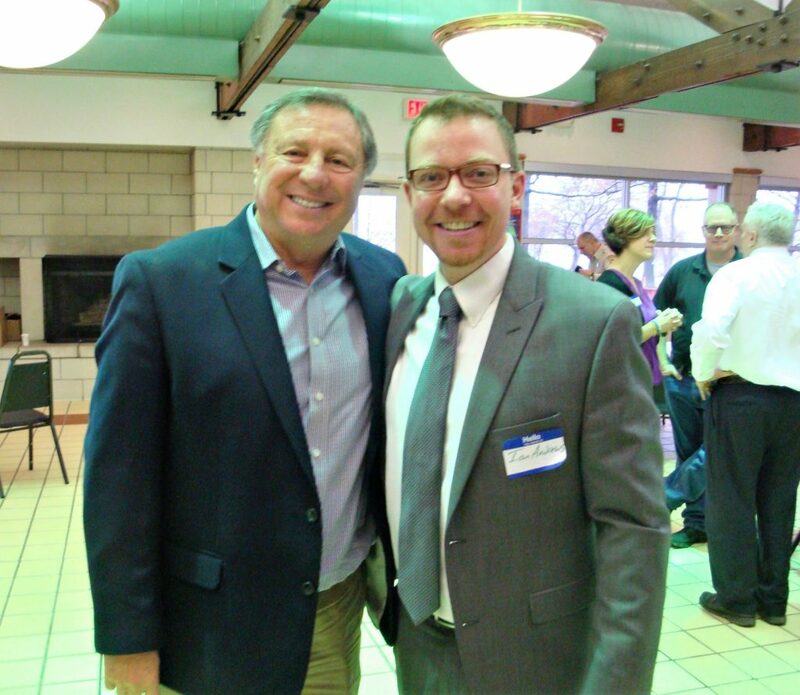 Mark “Munch” Bishop of ESPN Cleveland Radio was a special guest at this year’s breakfast. “Above & Beyond” Awards were presented to Bryan Evans and Chris Vance for their excellence in service to LakewoodAlive. Bryan contributes to LakewoodAlive in numerous ways, including serving on the Board of the Directors, chairing the Marketing Committee and volunteering during community events. Chris, owner of Vance Music Studios in Lakewood, plays a key role with helping LakewoodAlive secure live entertainment for various community events, including the 12-week Front Porch Concert Series each summer. 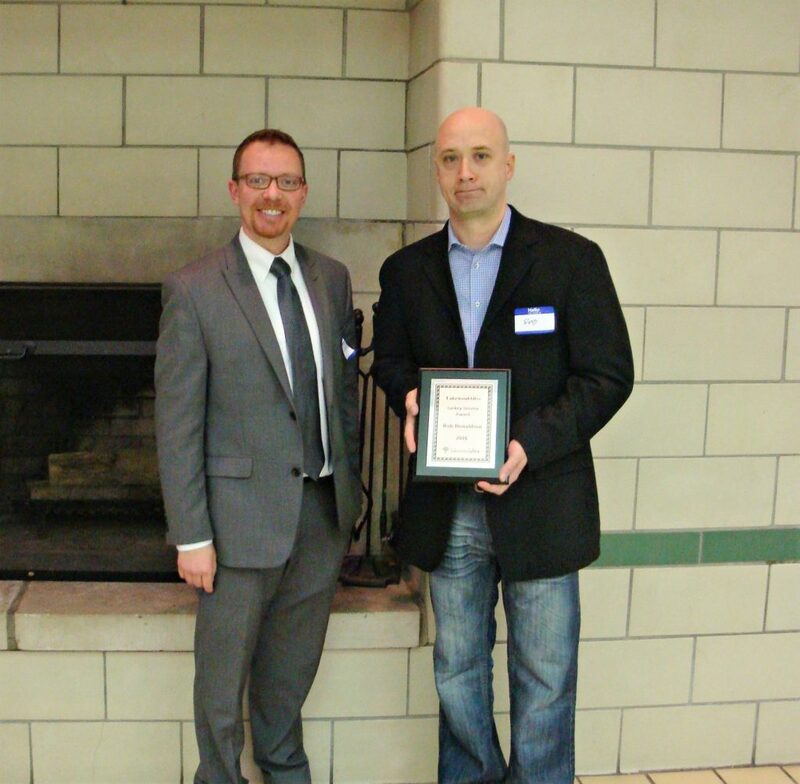 LakewoodAlive board member Rob Donaldson received the Laskey Service Award. A special award is bestowed each year to a volunteer who demonstrates uniquely exceptional commitment to LakewoodAlive. The Laskey Service Award was named for Tim Laskey, a founding member of LakewoodAlive. This year’s Laskey Service Award recipient is Rob Donaldson. Rob, a LakewoodAlive Board Member, has proven instrumental to furthering the organization’s urban design initiatives. In addition to chairing LakewoodAlive’s Design Committee, Rob recently spearheaded an effort to enhance the Historic Curtis Block Building with window displays and has taken a lead role in planning Warren Road streetscape improvements along with the development and implementation of a bench and trash receptacle program. Rob routinely donates his design expertise, and for that LakewoodAlive is extremely grateful. Click here to view our photo album from the 2017 Volunteer Appreciation Breakfast.